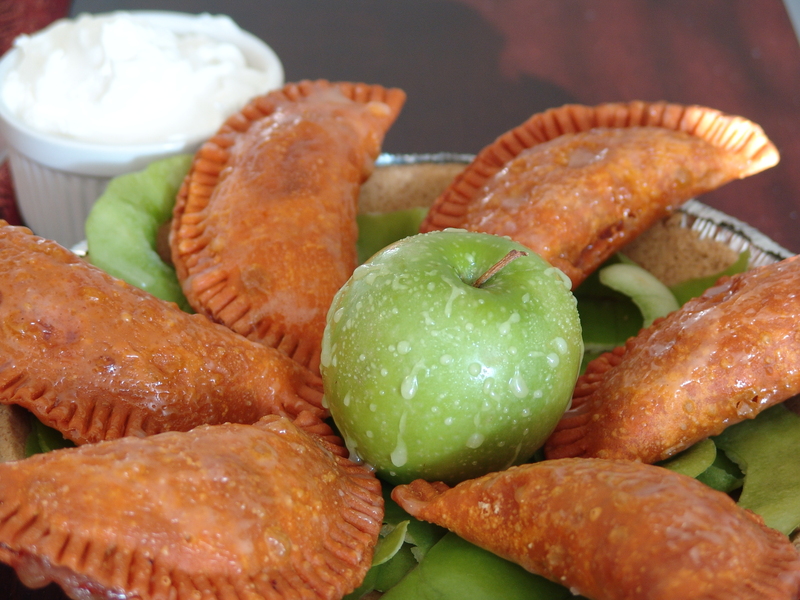 I made these bad boys for the apple competition at the North Carolina State Fair and from what I hear the judges loved them but I should have probably read the directions when they clearly said all entries should be a non-dessert. Melt butter in a sauce pan add white, brown sugar and water. Stir well, bring to a simmer and add apples. 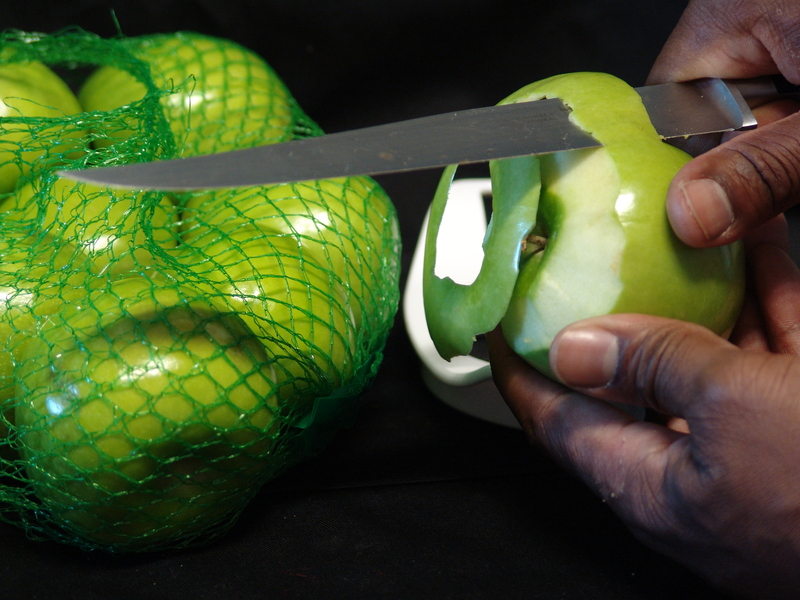 Add some apple mixture to the center of the goya disk and fold over to make a half circle. 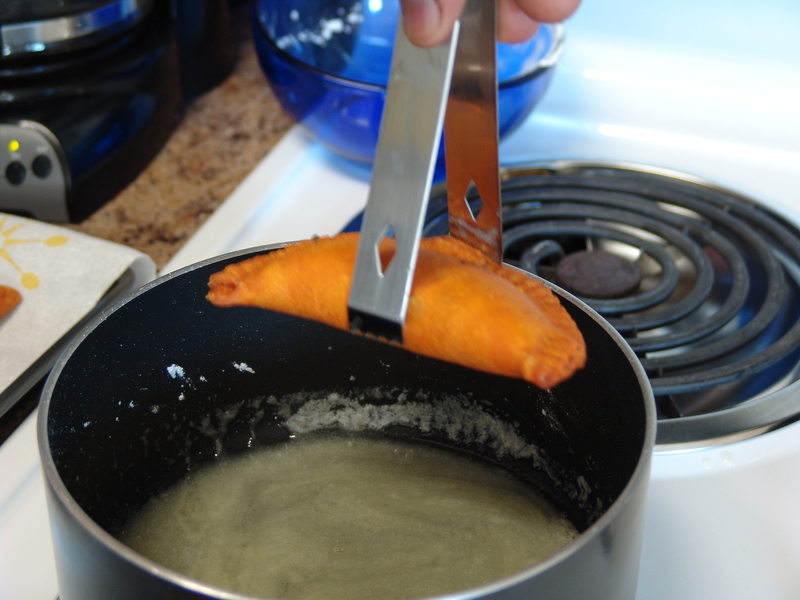 Use a fork to press the edge of the empanadas closed and repeat until mixture is gone or all the disk is used. Heat oil in a deep fryer or large enough pot to cover empanadas with oil. Fry in batches and set aside on a rack or paper towel to drain. In a saucepan melt butter over low heat and add milk. Simmer will stirring then add powdered sugar. Stir glaze until smooth.